Have you ever thought of enhancing your smile? Give us a call to schedule a free cosmetic consultation so that we may educate you on all of your options.
" Very professional staff. Make customers feel like they know you and your family by reviewing contact and dental information before your appointment.
" Best Dentist In Charlotte! 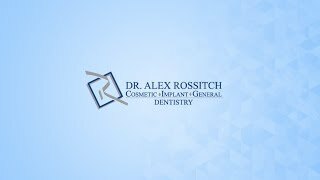 At Rossitch Dentistry, we strive to provide our patients with the best and most complete dental care. Dr. Rossitch and his staff frequently attend continuing education seminars to learn the latest dental techniques. Here are some of the services we offer. , please click here.